Can Drug Test Results Go Wrong? Just imagine you are waiting for the final call from the HR after successfully clearing the interview but is dumbfounded getting positive drug test result. Well, it is an obvious reaction if you have never taken recreational drugs in life. Your dream job is slipping from your hand just because of the false drug test results. Whilst there are some who trick the tests to land up a meaty job, if you’re not one of them, just hold the ground strong. This blog will shed light on some of the common causes that can sway the drug test results against you. Do you suffer frequently from cold or has perennial sinus? If that’s the case, changes are bright that your medications might have caused the drug test positive. Most cold medications are found with Pseudoephedrine, a synthetic amphetamine, which may give false alarm for a scheduled drug test within a gap of few days. All you can do is intimate the HR before undergoing the drug test to stay in race. Consuming supplements are pretty common amongst people of all ages. However, anyone would hardly wonder if it can prove to be so decisive for a job aspirant. For instance, Vitamin B supplements such as Riboflavin (B2) can turn the drug test results false. Whilst most of them are commercial manufactured, a few make it from hempseed oil which potentially has an active ingredient of marijuana – tetrahydrocannabinol (THC). Even small traces of the same in your urine or blood could be enough to close the doors to your dream company. There are many antibiotics which are found to have profound impact on the drug test results. For instance,amoxicillin, Amitriptyline, Dextromethorphan, diltiazem, benadryl, ibuprofen are some of the medications that can fail you in the drug test. Just mention on the pre-employment drug test form if you have consumed the drugs in recent time. This is commonly heard that mistaken consumption of poppy seeds sets you up to fail the drug test for heroin. Be prepared for they are likely to be found in your urine samples for say two days after the day of consuming any food containing poppy seeds. However, the duration can stretch if heavily gobbled down poppy seed pastries. Do you prospective employer informed if you do not wish to discard your selection chances in the first place. Most companies are consideration enough to allow any drug test. However, it is a better practice to keep the prospective employer informed about your medical history. 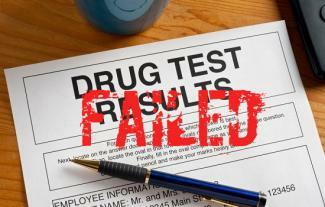 If you are repeatedly failing in drug tests, then you can consider the option of legal help. Alternatively, you can product your own medical test to justify your arguments and prove your legit candidature for the job you applied for. If you have accidentally fallen victim to false drug tests, convince the prospective employers about such scenarios so as to incorporate progressive changes in the rules. 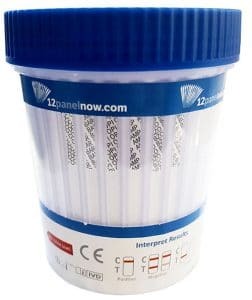 Alternatively, the FDA approved/CLIA waived drug test cups can be considered to raise the accuracy quotient to make informed decisions for the benefit of the stakeholders involved. Register or log in yourself and start shopping for our multi-drug reliable test cups!